What happens when your cause is ill-suited to campaigns that tug the heart-strings? Credit: http://www.brokeinlondon.com/book-swapping-sites/. All rights reserved. A new scheme from the Random Kindness Project is poised to offer domestic violence activists an alternative way to reach potential supporters. 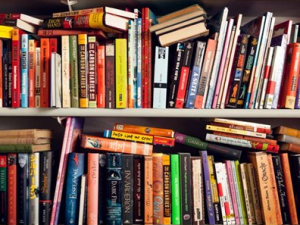 Author Lucy Beresford has announced that from now until the end of 2015, Refuge for Books will collect second-hand books and donate them to women’s refuges in London. Considering that survivors are often unable to pack before leaving their abusive partners; books may seem like an odd choice. Surely these women need clothing, toiletries, food and shelter, not a second-hand copy of Finnegan's Wake? It’s true that survivors and their supporters must consider the practicalities of day-to-day living, but in her announcement Beresford talks about something equally important—the emotional comfort and escapism a good book can offer. This emotional connection is frequently overlooked when dealing with survivors’ immediate needs. But it is an integral part of supporting women who’ve experienced domestic violence and a neglected avenue for fundraisers hoping to reach a new audience. The importance of emotional appeals to activism was detailed by Roman Krznaric in his recent essay for OpenDemocracy Welcome To The Empathy Wars. Krznaric argues that throughout history, empathy has been a catalyst for social change, citing the campaign against slavery as an early beneficiary. But what about causes that are not naturally set up for emotional appeals, like campaigns that are rich in data but struggle to reach potential supporters on a gut level, or which can’t find a suitably fluffy poster child? Grassroots activists have always been reliant on public donations. Unfortunately domestic violence campaigners are faced by an unusual set of challenges when it comes to engaging the hearts of potential supporters: privacy issues, accessibility and prejudice. The first priority for campaigners must be to protect the privacy of the women and children they work with, but this can frequently conflict with the need to raise awareness of their situations. A woman who has been targeted by her partner cannot risk becoming the poster-child for a domestic violence refuge. Abusive partners will often go to extreme lengths to maintain contact, so appearing on campaign leaflets or speaking in public is often too dangerous for survivors to attempt. That means that advocates are often speaking for women who are absent, placing a barrier between the people who need help and potential donors. A frequently used substitute is the shadowy silhouette, or anonymized first-hand accounts of abuse, but these techniques still leave activists reliant on statistics rather than the emotional appeals that other campaigns can utilize. Once issues around privacy have been dealt with, activists must find a way to stop lack of access to the women involved and the structures that support them from hampering their campaigns. Advocacy around other health issues can usually rely on the survivors’ support systems: people organize fundraising events, marathons, sponsored silences and ice bucket challenges to help support family members and willingly post personal testimonials online about their own health battles. But in the case of domestic violence, people are usually removed from their original support network by their partners during the abuse. Isolation is a common tactic for abusers and once the abuse is over, survivors are often forced to move away to escape further contact. People unfamiliar with a survivor’s situation are left unsure of what has happened, and there is less of an imperative to organize fundraising and other forms of support. This isn’t the only issue about access: potential supporters are usually only able to interact with women’s refuges via online platforms. For obvious reasons refuges cannot advertise themselves, relying instead on recommendations from doctors, the police and help-lines. This means that potential supporters are unlikely to come across regular reminders of the structures that support the survivors of domestic violence. If someone wants to donate clothes, toiletries or furniture to a women’s shelter, they often won’t know where their local shelter is, and the shelter itself is unlikely to have any formal process for accepting donations. The last issue hampering activists’ attempts to engage the hearts of potential supporters is prejudice. Many people are unaware that the most dangerous time for someone who has been the target of domestic violence is immediately after they leave their partner. Women will often return to an abusive partner multiple times before leaving, and domestic violence has the highest repeat rate of any other crime—with an average of 35 assaults before the a person leaves. This frequently leads to cries of ‘why didn’t she just leave him?’ ‘Victim blaming’ abounds, with a survey in 2014 finding that 10 per cent of the British public thinks it’s ok to hit or slap their partner. Highlighting individual cases can help potential supporters to make an emotional connection with a cause, but in the case of domestic violence it can also lead to misinformed scrutiny of a woman’s behaviour. This brings the conversation back to Gass’ suggestion that the patriarchal nature of society has made people less likely to trust emotional, personal testimonies, as opposed to facts and figures. None of these barriers are new, and campaigners have found a variety of ingenious ways to circumvent them. In the UK, domestic violence charities have become adept at tapping into the online zeitgeist and subverting whatever cultural moment is currently engaging public interest. The viral meme Dressgate, for example, began when Twitter users started to speculate about the photo of a dress online, and what colour it was. Half saw gold and white, and the other half black and blue. This discussion was then co-opted by the Salvation Army into an advertisement that featured a beaten woman wearing the dress, and a tag-line that asked “why is it so difficult to see black and blue?”. In a similar way, events like the 2014 World Cup have been used to highlight police fears of rising domestic violence during sporting events. The difficulties of using the survivors of domestic violence as spokespeople are frequently solved by enlisting celebrities and brands as refuge ambassadors. Successful campaigns have also been targeted at groups previously perceived to be unaffected by domestic violence. Love Shouldn’t Hurt, for example, was an award winning campaign that worked with teenagers to improve messaging around abuse. The White Ribbon Campaign encouraged men to pledge their support for survivors. Refuge for Books stands out, however, because of the potential it has for local, grassroots activists who lack big budgets or media savvy but who still need to make emotional connections with supporters. By acting as the conduit for donations, collecting them at a separate address and delivering them herself, Beresford avoids putting the privacy of survivors at risk. The problem of accessibility is solved by offering an easy and effective way for members of the public to donate. Most impressively, Beresford undermines the victim blaming that can surround domestic violence campaigns by focusing on the need to help many women, rather than holding up one woman’s story for scrutiny. There is a tendency to think that leaving an abusive partner is the end of the story for women who’ve experienced domestic violence; that they are now safe and able to get on with their lives. This misses the point that the majority are homeless, and will be living in a refuge with other survivors who are battling post-traumatic stress syndrome, depression, anxiety and a variety of other medical conditions that can accompany domestic violence. Refuge for Books may be a small and local, but it’s a campaign that can be easily replicated, and it offers activists an alternative way to connect with potential supporters. By focusing on their emotional lives and the comfort that a good book can offer, Beresford reminds everyone that these women are more than just survivors: they are human.